A lovely wedding took place on Saturday, September 12. Imagine! consumers Gerald Stopa and Donna Fairchild exchanged vows and celebrated their love for one another with a commitment ceremony at Donna’s church in Boulder. The couple met six years ago during a social activity planned by their two separate Imagine! group homes. Romance bloomed, and now they have made a lifelong commitment to each other. You can read more about the happy couple in this great article from the Longmont Times-Call. Also, Donna has an online diary on Imagine!’s SmartHome website. She talks about the wedding and her love for Gerald in the latest entry, and she also posted a photo album. Congratulations Gerald and Donna, and I wish you many happy years together! Why Do We Emphasize the Disability? I’ve said this blog is about introducing big ideas. I’ve said it should be a safe zone for genuine discussion where new ideas are encouraged. I’m about to put that to the test. I believe that the current system of funding for people with developmental disabilities through Medicaid is encouraging people to emphasize their disability. Medicaid is designed and operated like an insurance company. Now, if you have insurance and, say, your roof is leaking, or your leg is broken, the insurance should help fix those things. And in general, once they are fixed, you are done – no more benefits are needed for that particular issue. The problem in applying that model to developmental disabilities that for the most part, developmental disabilities last a lifetime. So we are stuck using a system that only throws money and resources at something that isn’t going away any time soon. The goal of those of us at Imagine!, and I would argue most of us in the DD field, is to look for ways to provide opportunities for the people we serve to engage in their communities. It has been my experience that the best way to do that is to focus on a person’s strengths rather than the person’s weaknesses. Rather than identify lifelong deficits, find out what someone is good at, is challenged by, and enjoys, and build on that. Here’s an example of what I mean: I’m not very good at throwing a softball. I never have been. I don’t know if it is a matter of my throwing mechanics or having a weak arm, but I just can’t throw a softball very far. My lack of a strong throwing arm has not hurt me in my career, though. Why? Because I do have a handful of strengths and talents, they just aren’t softball related. I have been able to build upon those strengths to gain experience and knowledge as I worked in the field of developmental disabilities (instead of the softball field). But what if Medicaid made the decision on what I should try and build on? Based on the current system, they’d try to teach me how to throw a softball better - even though no matter how much time, money, and energy they would spend, it is likely I’d never become a professional, or semi-professional, or even a very good amateur, softball player. What’s more, since I don’t much care about being a great softball player, I’d resent their lack of concern for my feelings and goals. And in the meantime, the strengths I did have would start to atrophy because too much focus would be placed on improving my throwing arm. 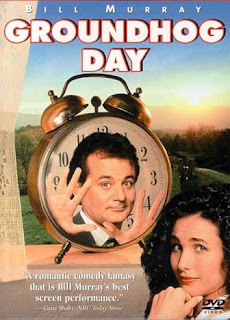 Maybe we’ve all been fooled by the movie “Groundhog Day,” where Bill Murray experiences the same day over and over, and each time he is able to work on each of his deficits and get the girl at the end of the movie. In the real world, however, it doesn’t usually happen that way. I want to make clear that I don’t blame the Medicaid system. Medicaid was never designed to provide lifelong services focusing on the strengths of people with developmental disabilities. But in the past few years, the State gravitated toward using Medicaid dollars simply because they were available. Now we are trying to stick a round peg into a square hole by using that funding system rather than exploring new solutions. My vision of how resources can best be used in service of people with developmental disabilities is not some pie-in-the-sky dream. Actually, this is how the system used to work in Colorado. From 1997 through 2004, the state Joint Budget Committee (JBC), the Department of Human Services’ Division for Developmental Disabilities (DDD), the provider community, and the Community Centered Boards (CCBs) worked together to create a systems change plan for delivering services for people with developmental disabilities that would allow them to fully engage in their communities based on their needs, goals, and abilities. Since 2004, when it was determined that the state Health Care Policy and Financing (HCPF) would be the single state authority on many issues related the provision of services for people with developmental disabilities, and because of the intent of Medicaid from a federal perspective, that plan has been largely ignored. Resources were no longer viewed as tools designed to provide services to help people with developmental disabilities engage in their communities, they were instead viewed as insurance “benefits” payments based on a standard fee schedule throughout the State, paid out based on a person’s deficits. The result? We are now serving 200 fewer people in the state (this reduction has nothing to do with the current budget issues). And even those being served are receiving fewer services. We have gone 180 degrees from what we had, and now we are 180 degrees from where we need to be. Invest our limited resources in the strengths of our consumers, stop throwing dollars down the drain by focusing on the wrong things, and focus on the right things. Although I want this blog to be about big ideas in the world of services for people with cognitive disabilities, it is also an opportunity to share good news when we have it. And today we have it! Imagine! consumer and Out & About employee Kyle Sanchez has been named the Irwin Siegel Agency’s Direct Support Professional of the Year Award. I was told by the Irwin Siegel Agency’s representative that Kyle won by a landslide. Last summer, Kyle completed the online application for employment at Out & About, interviewed for the job, and completed all the required training. Kyle and his family were provided with information on the impact paid employment would have on his disability income. Through hard work and an unbelievably positive attitude, Kyle succeeded in landing his very first job with Out & About working as an Assistant Recreation Instructor at the same camp he used to attend as a participant! Born with his own personal challenges, Kyle’s family enrolled him in Out & About while he was growing up. As an Assistant Recreation Instructor, Kyle is expected to provide participants with the opportunity to successfully and safely access and participate in activities in their communities, to learn new skills, have fun, and to provide them with the opportunity to enhance their quality of life. Kyle’s job is no small task, and he has proven himself to be an independent, high achieving, and determined member of Out & About’s staff. Kyle is a role model for many of the participants at Out & About. They look to him for guidance, comfort, and instruction. He has willingly taken on many new responsibilities that come with the job, and has done so graciously and with a smile! He handles schedule changes with ease, and is always aware of where he needs to be. Kyle asks meaningful questions and follows through with his job responsibilities. He is always on time, even when he takes the bus, which he has recently learned how to do on his own! Kyle notifies coordinators of any schedule conflicts as soon as they arise, and is always ready for the unexpected changes that often come with his job. Over the past few years he and his family have experienced great loss. 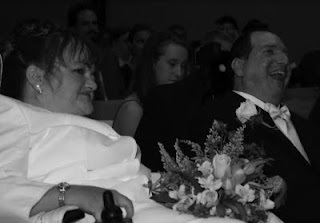 His father passed away, his mother was diagnosed with progressive MS, and his younger brother was also diagnosed with a disability. While maturing into a young man, Kyle has overcome many of his challenges while helping at home. Kyle feels very strongly that he needs to contribute financially to his family, and gaining paid employment helped him to achieve this goal. Congratulations Kyle! Your honor is well deserved. Herb Brooks: So, why don't we start with some introductions. You know, get to know each other a little bit. Where you from. Who you are. Rob McClanahan: Rob McClanahan. St. Paul Minnesota. Herb Brooks: Who do you play for? Rob McClanahan: I play for you. Here at the U.
Jack O'Callahan: Jack O'Callahan. Charlestown, Mass. Boston University. Those of you who know me already know that I find many of life’s most powerful lessons can be found in movies. I often find myself watching the same movie many times and each time being moved by the message and the lesson. Herb Brooks: How about you? 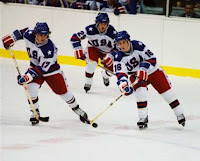 I mention this because I recently re-watched the movie “Miracle” about the 1980 U.S. Olympic Hockey team. In the movie (and in real life) coach Herb Brooks took a bunch of rag-tag college hockey players and formed a cohesive team that took on the incredibly powerful Soviet Union hockey team and defeated them en route to a gold medal. A quick history lesson for you youngsters – at the time, only amateurs were allowed to play hockey in the Olympics, and the Soviet Union, not having any professional leagues (and not allowing their players to leave the country), were able to field incredibly talented teams with a roster full of players who would have otherwise been playing in the NHL if politics would allow it. So generally, the Soviet teams dominated Olympic play, acting as the Harlem Globetrotters to the rest of the world’s Washington Generals. Dave Christian: University of North Dakota. Why was the 1980 U.S. team successful against such a powerful opponent? In a word, teamwork. Coach Brooks used some unorthodox methods to develop an intense cohesion among the team where the team was paramount, and all the players bought into the system. Herb Brooks: What's your name? Herb Brooks: Where you from, Mark? Mark Johnson: University of Wisconsin, Coach. So why am I blabbering on about this movie in a blog dedicated to issues surrounding cognitive disabilities? Because I feel strongly that one of the issues that has made it so difficult for those of us in Colorado to come up with real, sustainable solutions to the myriad problems facing us all is the lack of a synchronized, coordinated effort to address those problems. There are groups focusing on various diagnoses (Autism, Down Syndrome, Traumatic Brain Injury, etc. ), groups and sub-groups for various providers and Community Centered Boards, groups of families and parents, all of whom take many different viewpoints and approaches. Now, I don’t expect that we will all agree on everything, but I do worry that the fractured approach we take now to address some very complex issues pretty much guarantees that no lasting solutions to the great crisis facing the cognitive disabilities system in Colorado will be found. So much of what we do becomes an issue of “protecting our turf” rather than looking for opportunities for change. Separated, our voices are small and easy to ignore. As a result of our dividing ourselves, we are conquering ourselves. So I think it is time to take the Herb Brooks approach. Come together as a team. Find our common ground and work from there. It won’t be easy, but in the long term we could find that we are much stronger together than we are apart. Mike Eruzione: Mike Eruzione! Winthrop, Massachusetts! Mike Eruzione: I play for the United States of America! I have been in the business of providing services for individuals with developmental disabilities for more than 20 years. In that time I have learned many things, and I am continually motivated is the fact that I know there is still so much more to learn. Unfortunately, sometimes the reality of our day to day duties pushes aside the desire to learn new things. We get stuck in a rut and don’t want to hear new ideas, or assume that we are too hamstrung by rules, regulations, and a lack of resource to ever even consider new ways of the provision and delivery of services. It is almost as if we consider the realm of new ideas to be locked away in a tower in a castle that is so heavily guarded we can never get in, despite the fact that most of us would agree that the current system we operate under is unsustainable. Well, I’d like to use this blog as an attempt to storm that castle and free up some new ideas. I hope to use this space to throw out new ideas, to encourage discussion, reflection, and new ways of looking at things. I hope to open the discussion up to the DD community and the community at large – often the best and most innovative ideas come from those outside of the system who can approach things from a different and unique viewpoint. I hope you will join me and become an active participant in these discussions. I strongly believe we can all work together to create solutions to the crisis facing the Developmental Disabilities system in Colorado. So let’s take the first steps and have fun storming the castle!